Guwahati: Imagine a trip to China through an all-weather road winding its way through undulating hills and valleys of the Eastern Himalayas. The distance? Just 400 kms. That is, less the distance by road from Guwahati to Dibrugarh. Road to China, produced by the Films Division of the Union ministry of information and broadcasting. The easiest land access to China passes through Parasuram Kunda, HailalyungWalong-Kibithu and finally reaches Rima in Yunnan province. 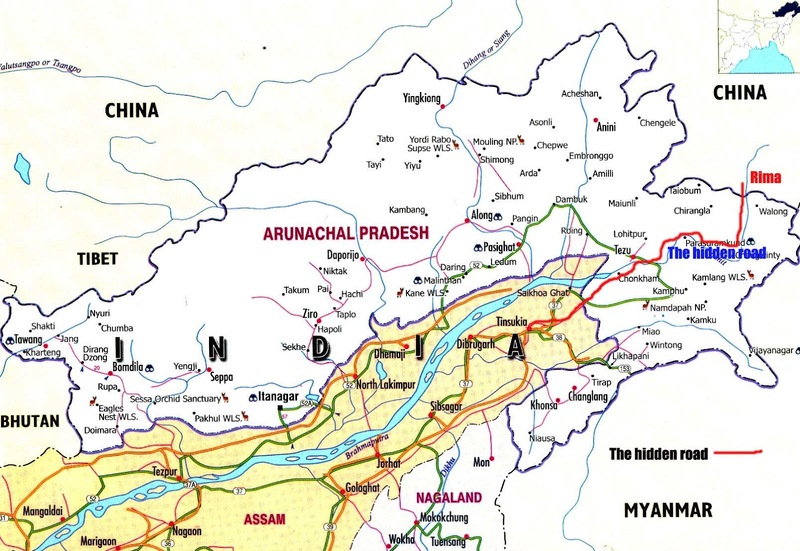 “The fact remains that there are very easy and good roads right up to the border and they are not very mountainous and if both the governments agree someday, you can drive down to China, spending just about Rs2000 in fuel,” Mrinal Talukdar told Seven Sisters Post. “It may be too early to dream of an immigration point and then drive to the most beautiful region of China through a beautiful highway, but the fact that it is not impossible as the geographical terrain is so surprisingly easy and smooth with both sides having good roads all the way up to the border,” he added. Only in the last three kms over the Line of Actual Control (LAC), the road is broken. In fact, on the Indian side, the road from Tinsukia to Kibithu is an all-weather road free from snow. The duo feels that if the road is developed it can open up new opportunities as far as trade and commerce between the neighbouring countries are concerned. “Most importantly, we do not need the Stilwell Road which is actually more of an emotional issue than actual reality. The Stilwell Road is nothing but dense jungle of more than 400 kms as there is no road. Constructing a road means destruction of pristine forests. Besides the road goes south towards Myanmar then enters Yunnan province crossing about 1700 kilometres,” Talukdar said.